MONDAY, Aug. 27, 2018 -- The prevalence of electronic cigarette (e-cigarette) use among U.S. adults is 4.5 percent, with higher prevalence among those aged 18 to 24 years, according to a study published online Aug. 28 in the Annals of Internal Medicine. Mohammadhassan Mirbolouk, M.D., from Johns Hopkins University in Baltimore, and colleagues reported the prevalence and distribution of current e-cigarette use among U.S. adults in 2016 using data from the Behavioral Risk Factor Surveillance System. The researchers found that 15,240 of the 466,842 participants with information on e-cigarette use were current e-cigarette smokers, a prevalence of 4.5 percent, which corresponds to 10.8 million adult users in the United States. 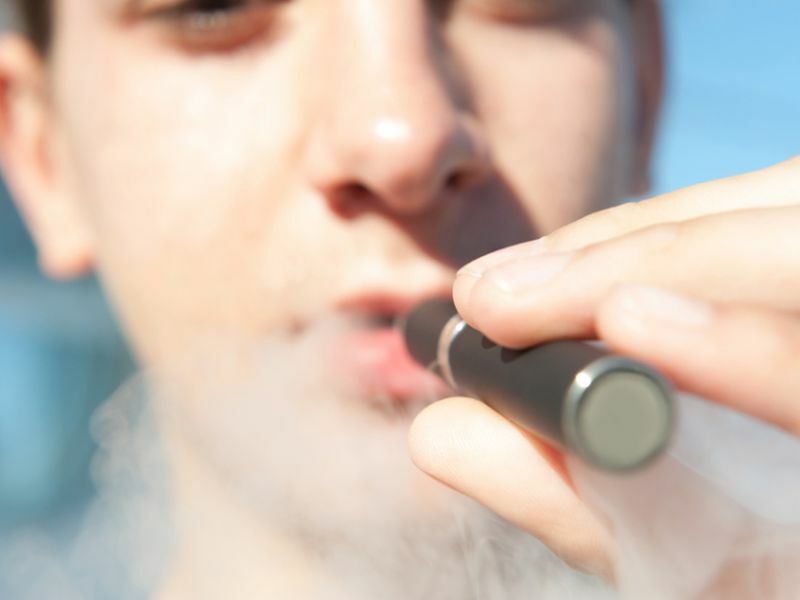 Fifteen percent of e-cigarette users were never-cigarette smokers. The highest prevalence of current e-cigarette use was seen among those aged 18 to 24 years (9.2 percent), corresponding to 2.8 million users in this age range. Overall, 51.2 percent of current e-cigarette users were younger than 35 years. Men; lesbian, gay, bisexual, and transgender individuals; current combustible cigarette smokers; and those with chronic health conditions had high age-standardized prevalence of e-cigarette use. Among states there was wide variation in the prevalence of e-cigarette use, ranging from 3.1 to 7 percent in South Dakota and Oklahoma, respectively. "These contemporary estimates may inform researchers, health care policymakers, and tobacco regulators about demographic and geographic distributions of e-cigarette use," the authors write.